Each generation of kids looks for new ways to get high. Recent trends indicate they are increasingly turning to prescription (Rx) or over-the-counter (OTC) medicines. 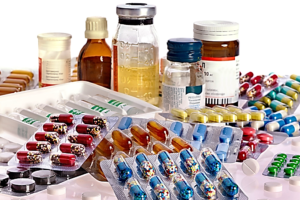 Teens report getting many of these medicines from home medicine cabinets and mistakenly believe that abusing them is “safer” than other drugs. A problem that often flies under the radar is the abuse of OTC cough medicines containing dextromethorphan (DXM). According to the 2013 Monitoring the Future Survey, about 4 percent of teens report abusing OTC cough medicine to get high. In addition, according to the 2012 Partnership Attitude Tracking Study, one out of three teens knows someone who has abused OTC cough medicine to get high. What OTC cough medicines are teens abusing? While millions of Americans safely rely on OTC cough medicine to temporarily relieve their cough, some teens intentionally take large amounts – sometimes more than 25 times the recommended dose of these medicines – to get high. This means some teens ingest multiple packages or bottles of OTC cough medicines that contain dextromethorphan (DXM). DXM is the active ingredient in most OTC cough medicines and the most widely used cough suppressant ingredient in the United States. Teens may mistakenly believe that because DXM is usually found in OTC cough medicines then it must be harmless and is an easy and safe way to get high. But it’s not. When taken in excessive amounts DXM can cause serious side effects including rapid heartbeat, high blood pressure, memory problems, nausea and vomiting. More than 100 OTC medicines containing DXM are on the market today. These medicines come in the form of liquids, capsules, gelcaps, lozenges, and tablets. Common DXM-containing cough medicines include many forms of Coricidin™, Delsym™, Dimetapp™, Mucinex DM™, Robitussin™, Triaminic™, Tylenol Cough & Cold™, Vicks DayQuil™/NyQuil™, Vicks Formula 44™ and more, including store brand and generic versions of these products. What are the warning signs of OTC cough medicine? Unusual chemical or medicinal smells on your child or in his or her room. TALK to your teen about prescription and OTC cough medicine abuse. Teens listen, even if they act like they don’t. In fact, teens who learn about the risks of drugs from their parents are 50 percent less likely to use drugs. Take steps to protect your teens by safeguarding all the medicines you have in your home. Know what you have and how much, so you will know if anything is missing. Discard any medicines you no longer need. SHARE what you have learned. Speak up – at school meetings, sports & community events and other gatherings of parents – to make sure others know about the dangers of medicine abuse. Circulate articles via your school listserv or write an opinion editorial to your local newspaper. Blog, Facebook or Tweet about it to make sure your friends and peers are aware of this issue too.